No sooner than these were here, in April 2015, then these will likely be gone in the 2018-19 ScotRail stock changes. 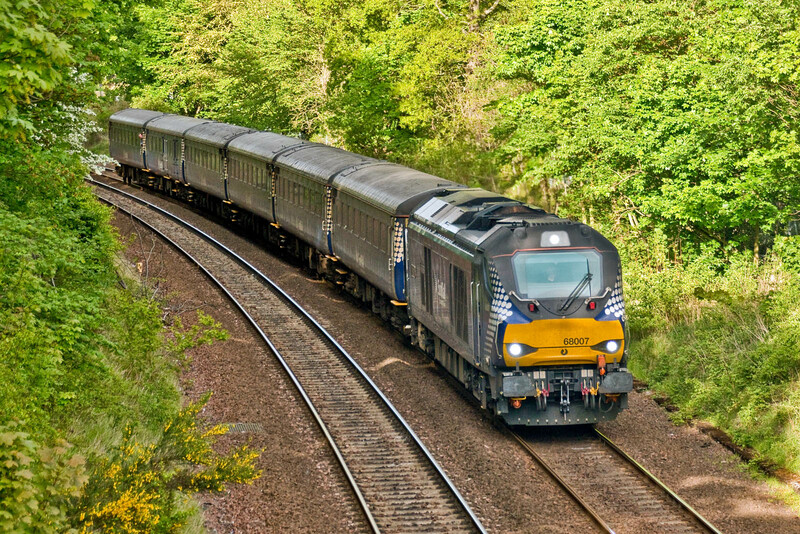 Services in the week of 15th May were in the hands of the ScotRail livery pair, 68006 and 68007. 68006 Daring passing Aberdour with 5L70 1824½ Cardenden - Motherwell, 16th May. 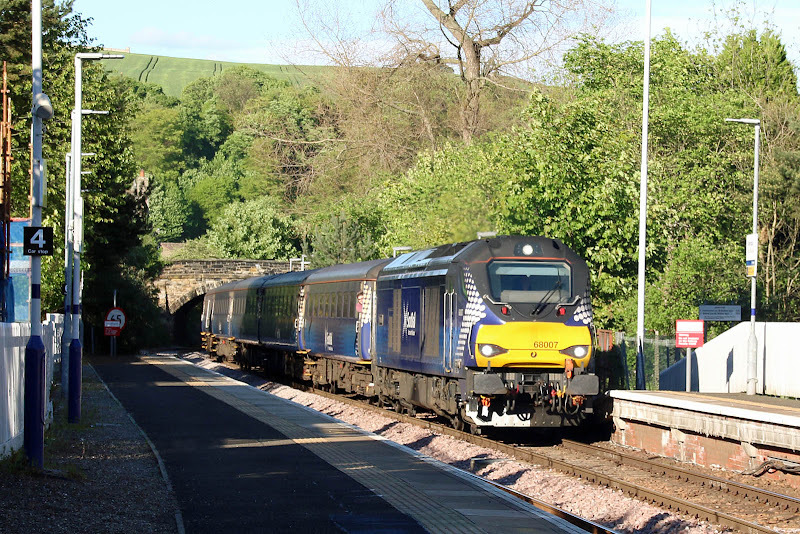 68006 with 2K14 18:16 Glenrothes with Thornton - Edinburgh, arriving at Aberdour 19th May. 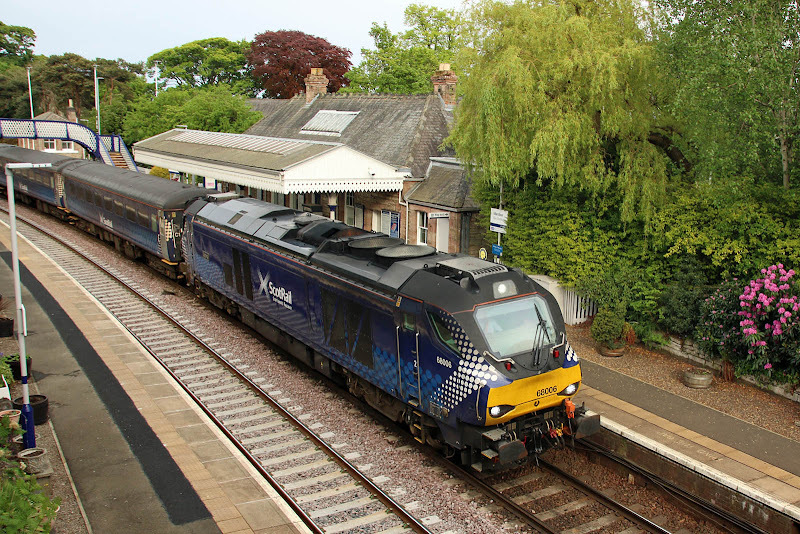 68007 Valiant with 2K14 arriving at Aberdour 16th May. 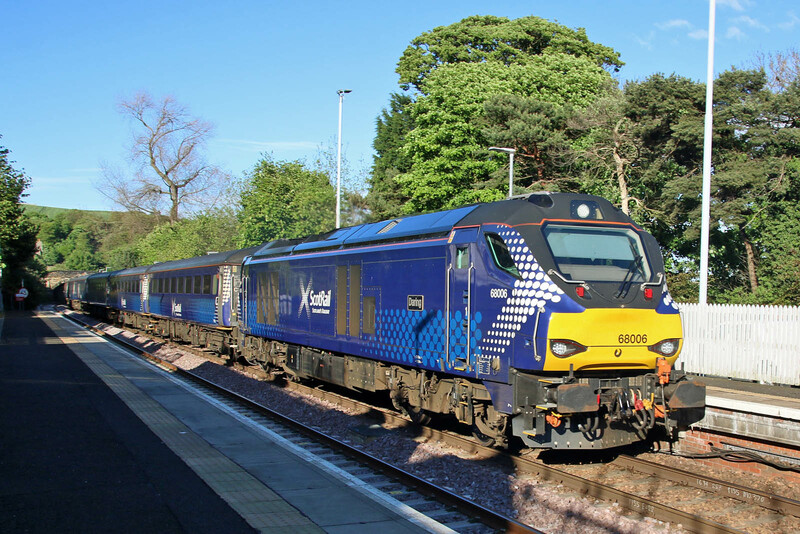 68007 on 2K14 at Dalgety Bay on 18th May.